The outcome of a family law case will substantially affect your family for years to come. And for those facing a family law matter, the future can feel uncertain, confusing and overwhelmingly complex. The stakes run high and so do emotions. You simply can not afford to take unnecessary risks. Hire an experienced attorney with a track record of obtaining best possible results in family law cases. At Walton, Theiler & Winegarden, we have provided families throughout Kenai, Soldotna and the greater South Central Alaska area with effective, goal-orientated legal representation for over 20 years. Our knowledgeable attorneys are no strangers to the courtroom or the negotiation table; understanding exactly what it takes to achieve timely, cost-effective results. We believe going to trial should be used only as a last resort. By negotiating a beneficial settlement out-of-court, we can retain greater control over the outcome, saving you valuable time and money. However, when negotiation is not a viable option, we are prepared to fight aggressively for you at trial. Divorce: We handle both contested and uncontested divorces. Before taking any action, we will take the time to learn key information about your marriage, including details regarding length or marriage, children, income, investments and property. Child custody and visitation: There are nine issues the court takes into consideration when determining child custody. We will effectively argue before the court that you can fulfill these factors and are best suited to care for your child. Child support: According to Alaska Civil Rule 90.3, the amount of child support payments is determined by a number of factors, including both parties’ adjusted gross income, time spent with children and shared custody situations. The amount of child support differs between shared and sole custody. This is a complicated legal area. We know how to sift through complicated documents and paperwork in order to ensure your payment levels are fair and accurate. Alimony: There are three types of alimony; Long-term support, rehabilitation support and reorientation support. Paternity: We assist parents in establishing or negating legal paternity of children. 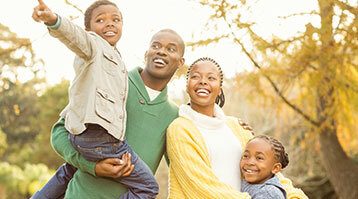 Adoption: Our firm assists in the complicated adoption process. Guardianship: We handle guardianship proceedings when grandparents who are taking care of their grandchildren want to be named as guardians. We also handle guardianship situations where parents cannot effectively parent their children. Contact Walton, Theiler & Winegarden, LLC to setup a consult with an attorney specialized in Family Law.